I think you all probably know by now that I love shopping for deals at CVS Pharmacy! They have everything you could need from makeup, to medication, to milk… and even everything you need for your baby. 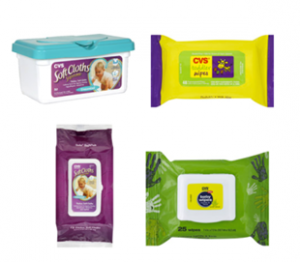 CVS Pharmacy sent us some of their CVS brand diapers and wipes to try! 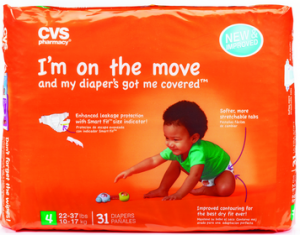 The diapers have some new upgrades, too including improved leakage protection, new contoured fit, softer, stretchable tabs, and smart-fit size indicator on the diaper. They also send me some of their wipes to try out, and they’re just as great as any of the national brands! All of the CVS brand products can be found at your local CVS, or bought on CVS.com where you can find great savings while you shop for Extra Care Deals! 1. Leave a comment below telling me which of the CVS brand items you can’t live without for your little one. 2. Like Southern Savers and CVS on Facebook and leave a comment below telling me you have. 3. Follow Southern Savers and CVS on Twitter and let me know in a comment below that you are. Psst! Tune in on Monday for a fun giveaway from our friends at Hungry Jack!